Chinasa describes herself as the daughter of the Most High, A Wife, Mother, Medical Doctor, Certified Weightloss/ Health coach, a business woman, motivational speaker and an Author. 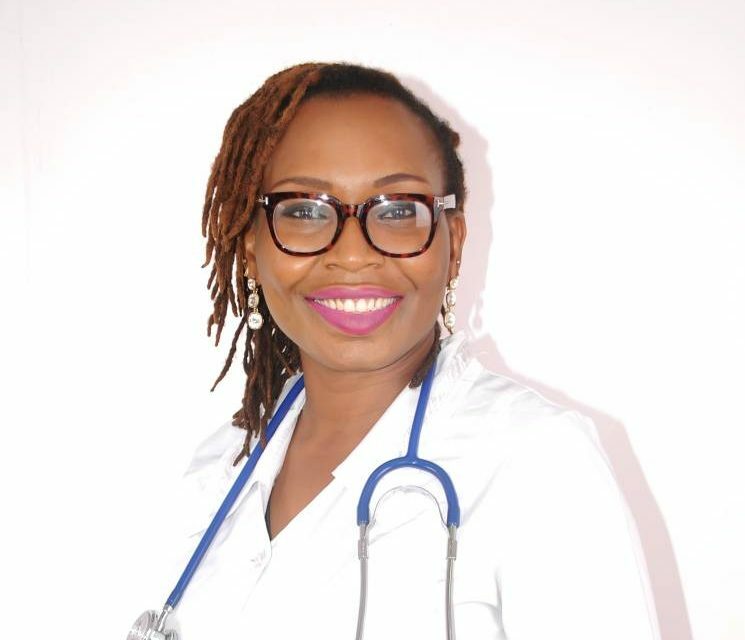 She is the first of 5 children who as a child, knew she wanted to be a medical doctor. Chinasa is not just intelligent but also a happy woman who believes life shouldn’t be taken too seriously as she ensures she takes a ray of sunshine with her, wherever she goes. Read, Enjoy and be inspired by our Q&A Session with Her. What experience inspired your decision to become a Weight Loss coach? At the age of 16, I weighed 80kg and I thought that was normal, until I became hypertensive and the frequency of asthma attacks rose. Then the doctor advised I lose some weight. Before this time, my mum had already been emphasizing that I needed to shed some weight, but I thought she just didn’t understand that I had “big bones”. So I went on various diets. And I lost a lost of weight. However, after I lost the weight, I gain it all back as soon as I stop the diet. It was very frustrating. Then I decided to do it right. Eat healthy and exercise. I had to learn to make it a lifestyle and at then I hit 70kg. It was like a dream. People wanted to know how I lost the weight. I started coaching them. I read more, took certification courses, and that was how I became a weight loss coach. I have been a weight loss coach to thousands of women, men and children around the globe in the past 7 years and I do not take that for granted. I found my passion in my imperfection and all glory goes to God. Can you tell us a little bit about Ariella Fitness? ARIELLA FITNESS is a healthy outfit aimed at creating a healthy generation one person at a time. We are not just about weightloss, we are about health from a holistic point of view. Our online weight loss programs have changed lives around the world because people can lose weight in the comfort of their homes without having to go to the gym and we educate individuals on losing weight according to your budget. Using what is available around you. We also provide wholesome granola cereals that can aid/support your healthy journey. If you could go back in time, what is one piece of advice you would offer a younger Chinasa? Validation from God and Myself is all that matters. Societal validation doesn’t count. You recently wrote a book on “Eating to Lose Weight“, tell us a little about it and what motivated the production of the book. Oh yes, the book : EAT TO LOSE WEIGHT was written for the Nigerian that was to get healthy and lose weight on a budget. The common misconception is that eating healthy in Nigeria is expensive. This book debunks all that saying and shows the reader ways they can get healthy and lose weight without breaking the bank. Keeping in mind the current economic crunch in the country. It is the No 1 Nigerian weightloss Bible and It is a must have for Every Nigerian Household. It is key that while we are still living, we live a healthy life! I have a lot of inspirations. My Mum – She is my backbone , My Children – They inspire me to be a better mummy, Kate Henshaw- Her Humility and Fitness level is extraordinary. What are the top 3 impactful things you have done/achieved in the past one year? 1. Committing to spending more time with my girls. 2. Working with over onethousand women on their weightloss journey 3. Writing and Publishing a Nigherian Weightloss Bible – EAT TO LOSE WEIGHT. What is the most important lesson life has taught you so far? Run your race. Dawn sets differently for every one. Do not be intimidated by the glitz and blitz on social media. Remain YOU. When you are not working, what are you doing? Cooking or Sleeping or playing with my girls. What is your take on “Women Supporting Women”? I pray it becomes less of a Hashtag and more of a practice. I believe women should support women. But I still know women are our own worst enemies (this is saying from experience). I just pray it can be put more into practice in real life. If you could recommend one woman for us to interview next, who would it be and why? Chioma Fashola (aaralifestyle) She is a hardworker. I want more people to know the stuff she and her shoes are made of. Being the best I can be and impacting positively in everyone I meet. I want to be remembered as someone who motivated people to live a healthy happy life! Great interview, Coach! Best wishes always. This is a good one. You are really positively impacting on peoples’ lives.